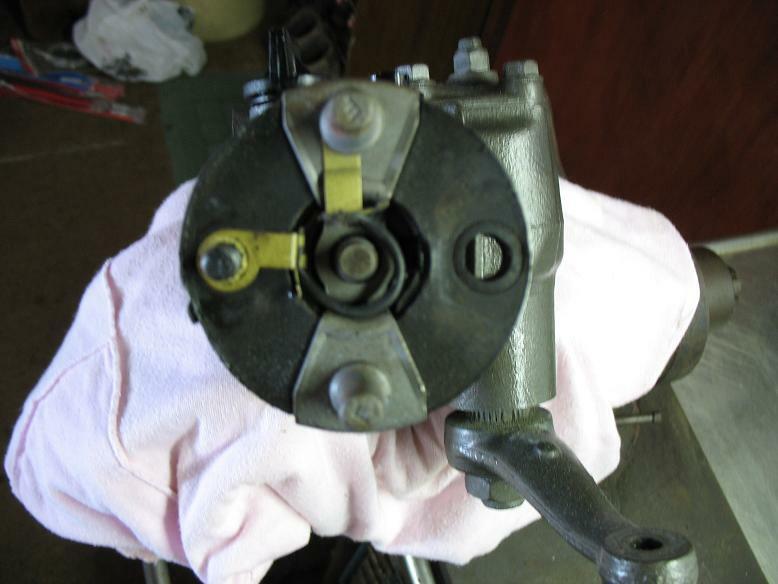 Here is a steering box removed from a 71 Skylark GS. Box had a leak originating from behind the rag joint. Here is the box with the rag joint removed. 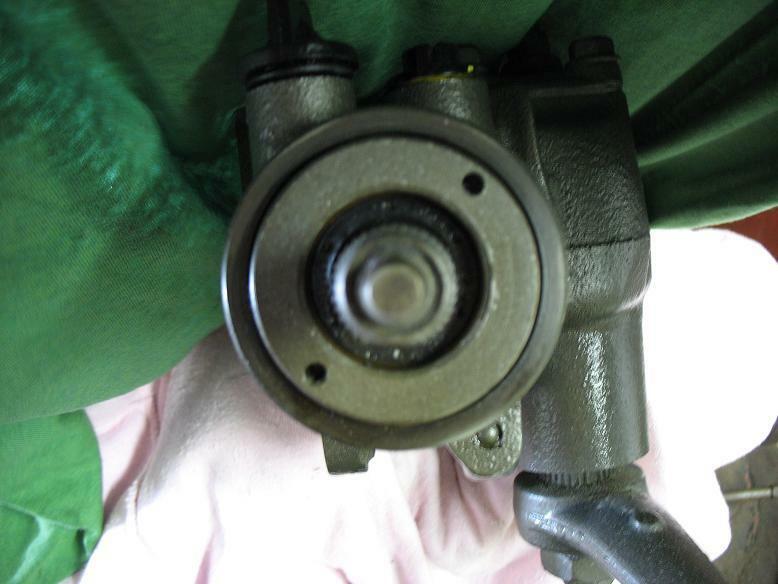 Use a 7/16" 12 point socket to remove the retaining screw that holds the rag joint to the steering box. If you look closely at the pic, you can still see some power steering fluid at the 6 o'clock position. 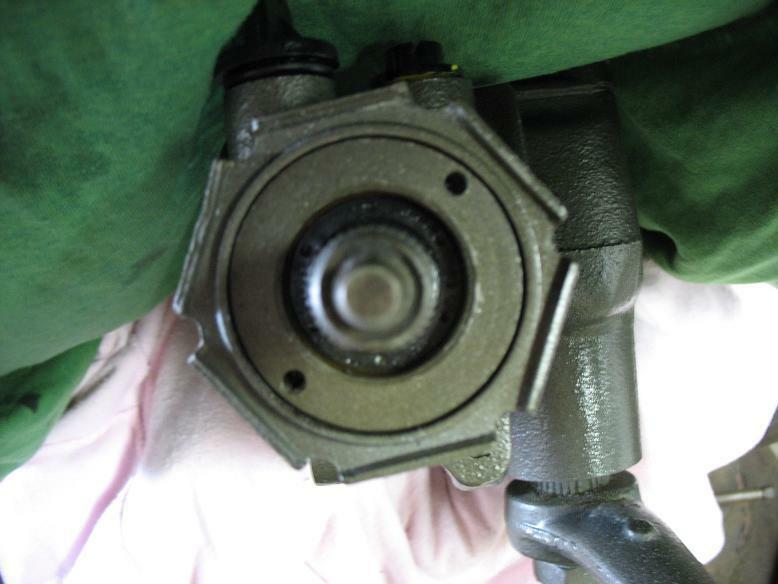 Notice input shaft has a flat machined area....this mates to the rag joint inner diameter to maintain correct orientation. Bottom left arrow show a bad dust seal and this is where the ps fluid was leaking. 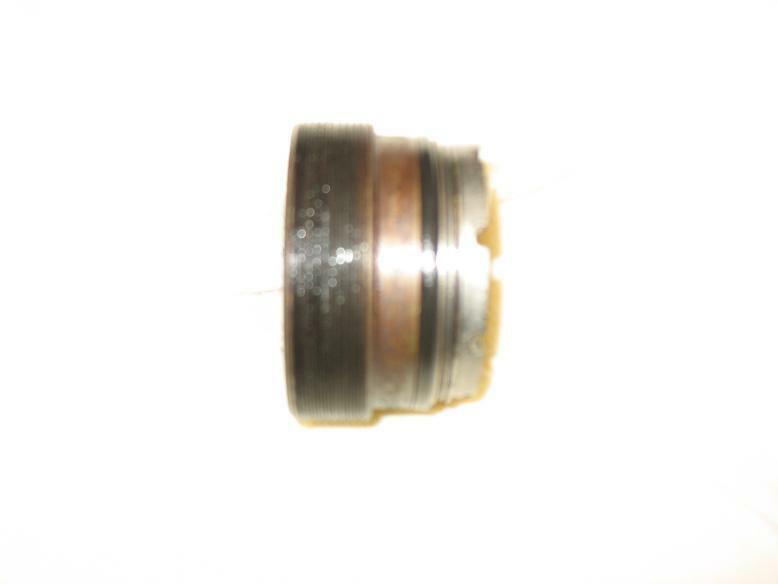 Upper arrow shows snap ring that holds in the dust seal. Remove the snap ring. Remove the dust seal using a scribe/awl or small screwdriver. Dust seal is removed exposing the inner seal. 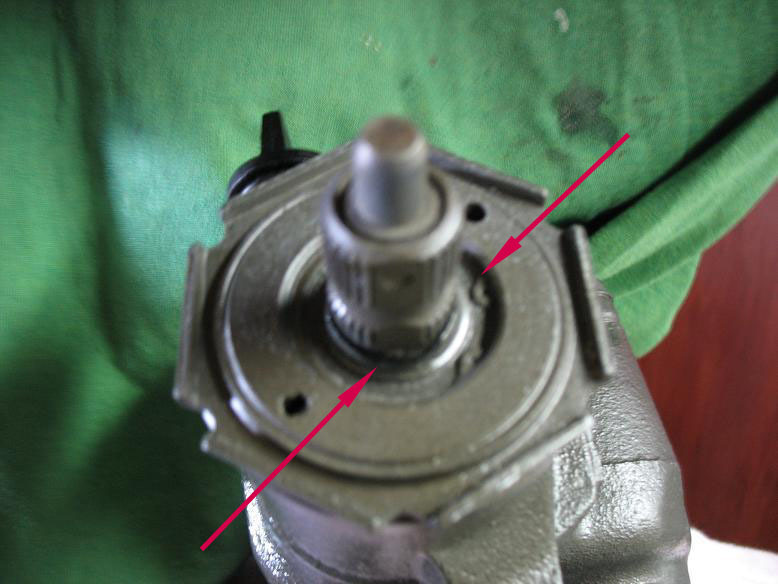 Use a hammer and a round chisel/drift to gently rotate/remove the retaining ring/nut. Use a marker to make a note of the hole orientation.....two shown here are at the 2 and 7 o'clock position. You want to reinstall the jamb nut in the same position. 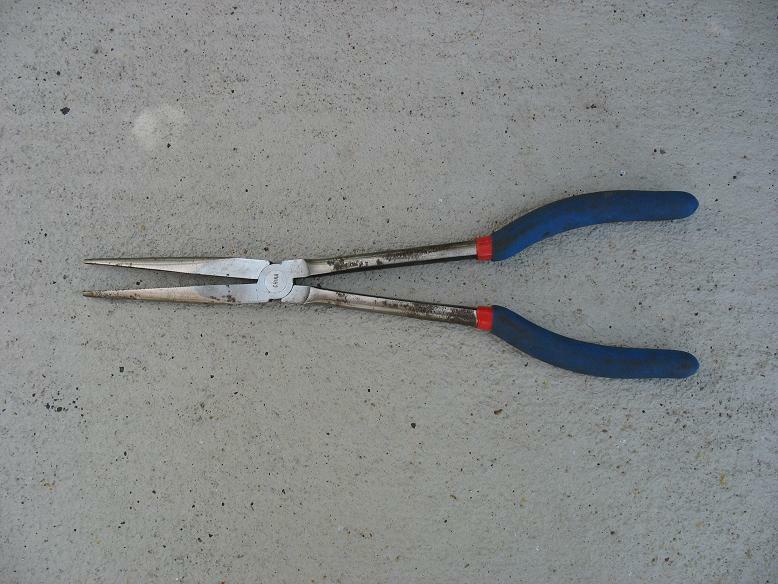 Use a large pair of needle nose pliers to remove the jamb nut. Insert plier points in the holes mention above and unscrew the nut. 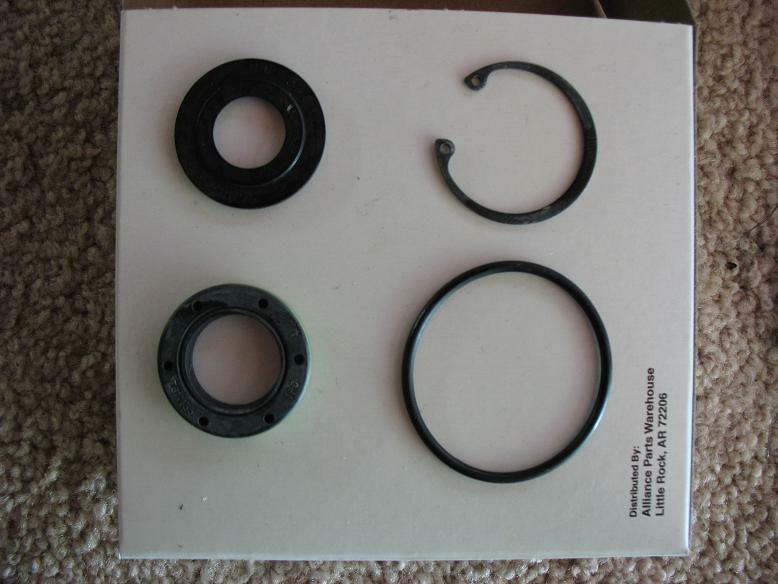 of the steering box, upper dust seal, input shaft seal, snap ring and o-ring. Here is the jamb nut with the old o-ring. Replace this o-ring with a new one. Flip the nut upside down and remove the inner seal. Drive out the seal with a screwdriver. Install the new seal using a 1/2" drive socket marked 1" Gently tap the seal in place to seat it. 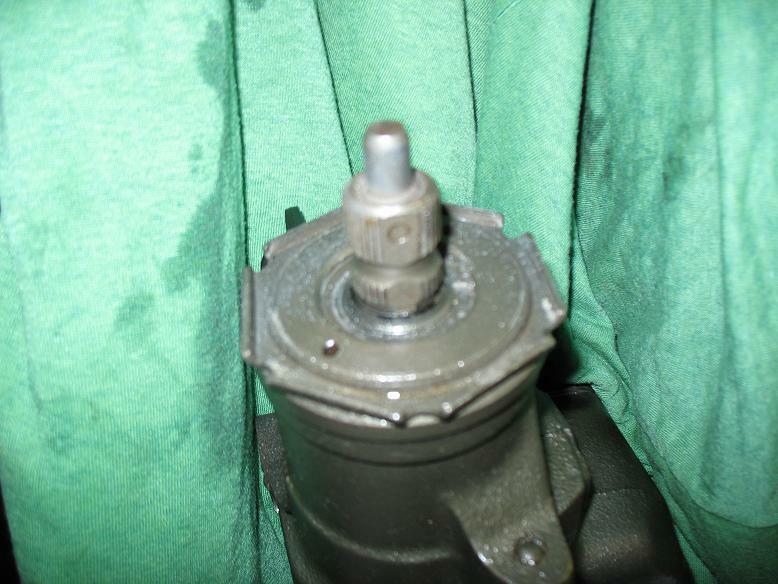 Use a lil oil on seal ID to prevent a dry seal contact with input shaft. 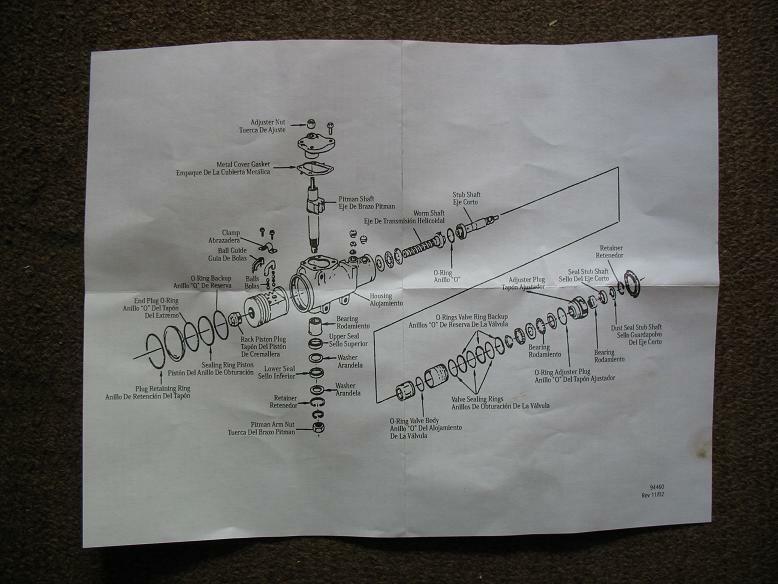 Here is the included sheet showing steering box exploded view.